2008/09 was the year just before I started getting back into card collecting, so breaking products from this year is a little foreign to me. 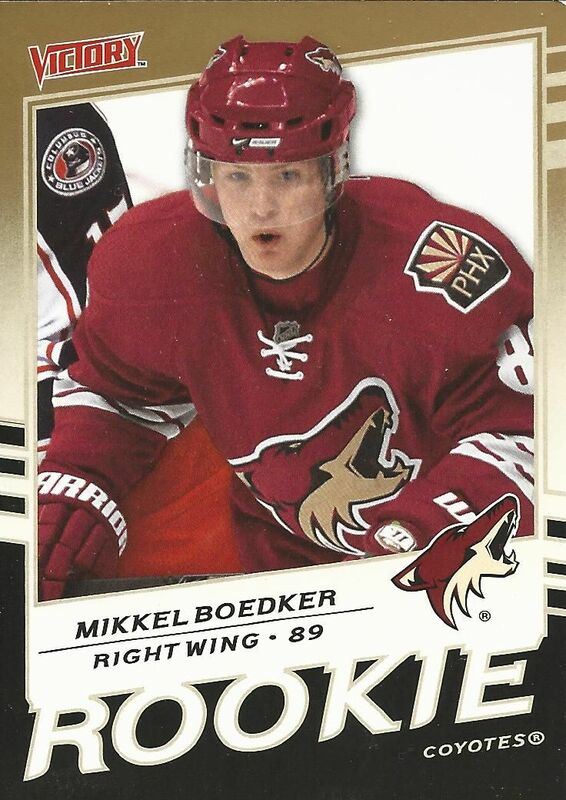 I do know, however, that 08/09 Upper Deck had a beautiful design that is one of my all-time favorites in terms of how the cards look. This blaster was a great price so I decided to give it a spin! 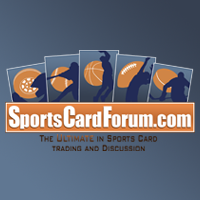 The main draw in 08/09 card sets is Steven Stamkos. His Young Gun, however, is found in Series 1, not two. That's ok though, I think I'll still enjoy opening up this blaster box for a few years back. I actually am not sure what to expect out of this blaster. 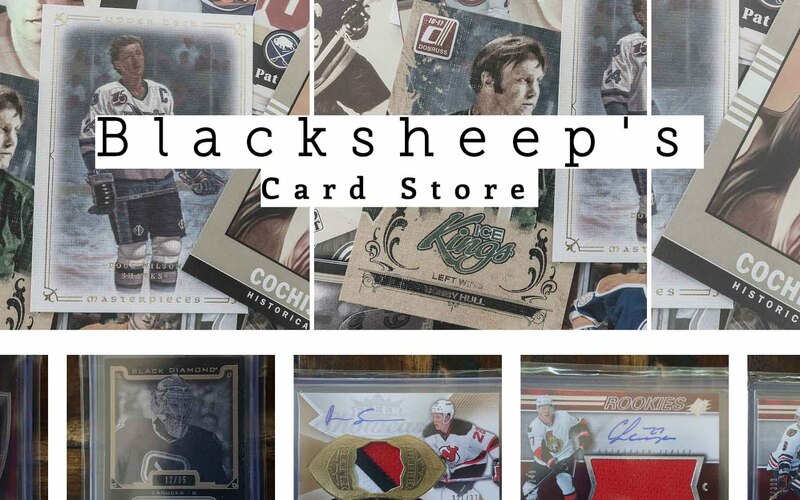 It's low price seems to indicate that there really isn't much to look forward to out of it, but Upper Deck is always a strong product and can always be fun. Perhaps there will be some cool inserts to find out of this box. There may even be a hit! I'll have to open it to find out though. Overall I was pretty satisfied with this break. Sure, there wasn't anything ground breaking about it, but the cards that came out were pretty nice! I ended up with a pretty nice stack of base cards with two checklist cards. Nowadays the checklists feature two players on them. It's usually the two captains from the Stanley Cup Finals or the top rookies. In 08/09, they didn't have two players on the card - it was just one. I personally like the single player look better. Many of the packs from my break had Victory update cards in them. Victory was the lowest end Upper Deck brand at the time. Getting these cards were ok, but they aren't too special. I did enjoy finding some bonus rookie content because of these cards though. Boedker is a player I am familiar with so that's always a plus. 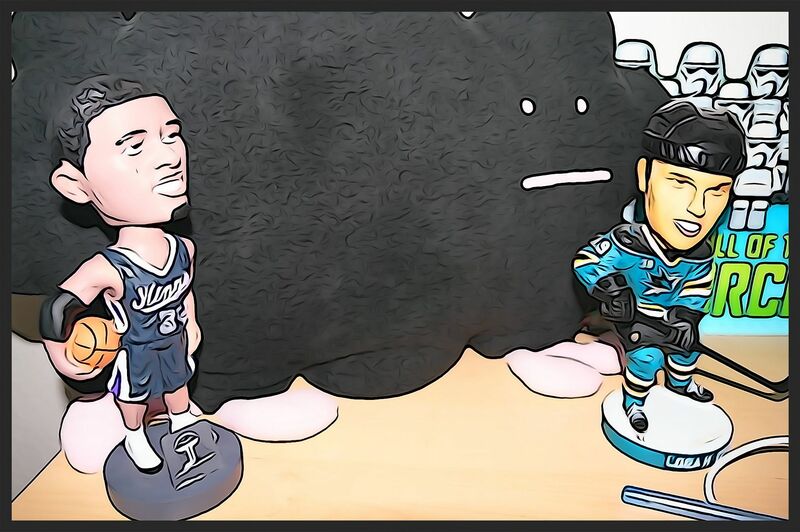 Often times the rookies you find in older products may not have had a very long stay in the NHL so there's a good chance that they will be an unknown. This card is also a gold version, which was sweet. Varlamov is a pretty well-known goalie and is still going strong in the NHL. I was a little surprised to find his YG in my blaster as I wasn't sure when he was a rookie. 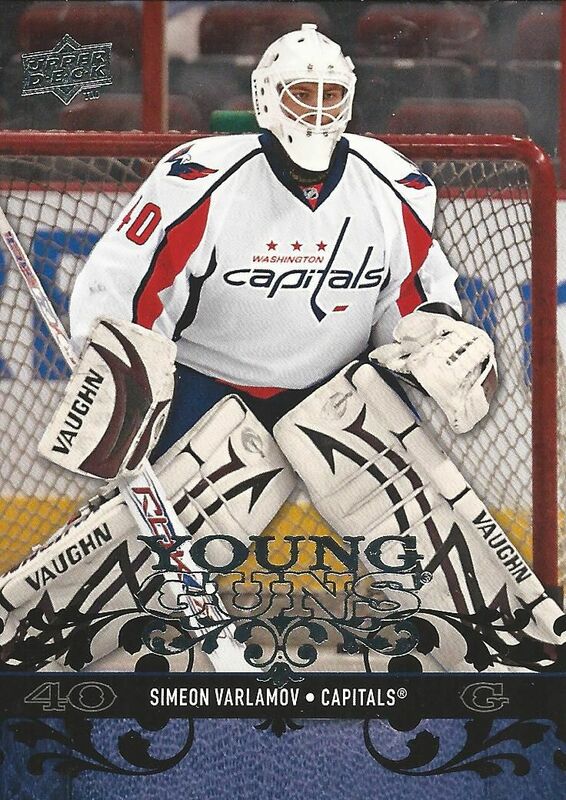 I think Varlamov was a bit more popular a few years ago, but his YG is still a nice find from an inexpensive blaster like this one. 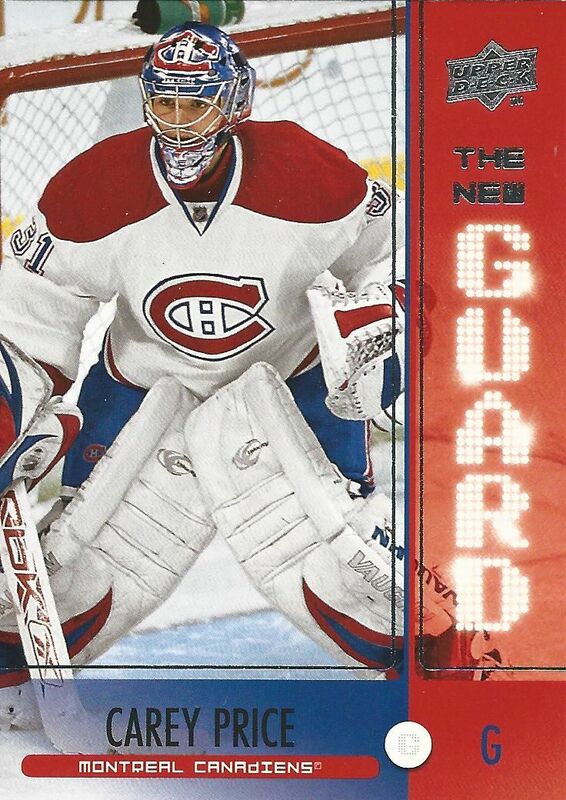 I don't know if I've ever seen this particular Upper Deck insert before, but it's of a fantastic goalie in Carey Price. The title is The New Guard, so obviously this card was from a time when Price was newer in the league. For under nine bucks this was a good little blaster to open up. I was able to hit a few nice rookie cards from both the main Upper Deck set and the Victory updates. I was pretty satisfied with this break and would happily purchase another one of these blasters at the same price. They are a good deal and a fun little break for the money! 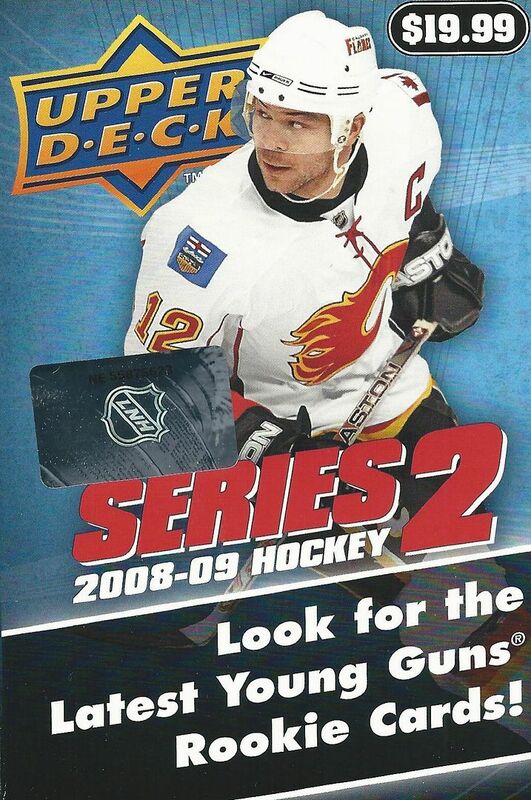 Let me know what you thought of my 08/09 Upper Deck Series 2 blaster in the comment section below. Have you ever pulled anything good out of one of these? I'd love to hear about it.